Photo`s and file share on a community website play and important role for users to share their memories. 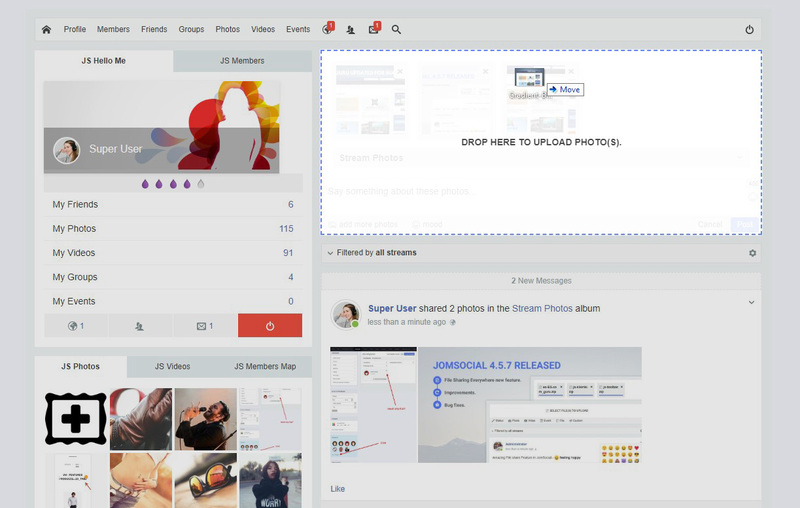 Till now Jomsocial support the uploading traditional uploading steps to choose files and upload them. 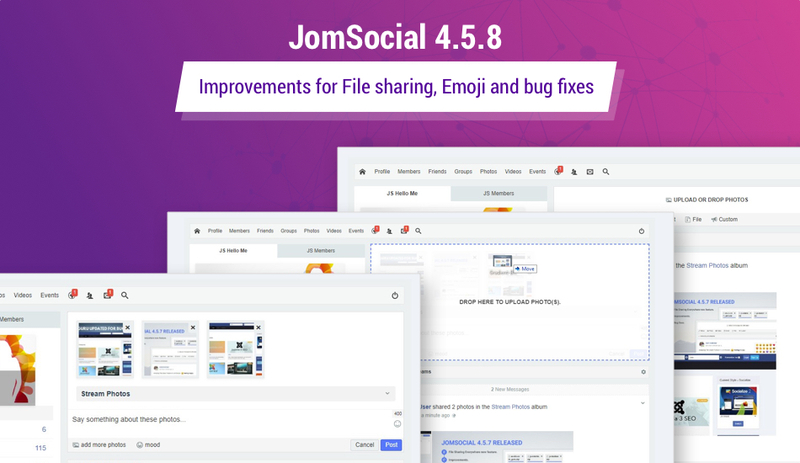 In the new version of Jomsocial 4.5.8 we implemented a major improvement in uploading content. 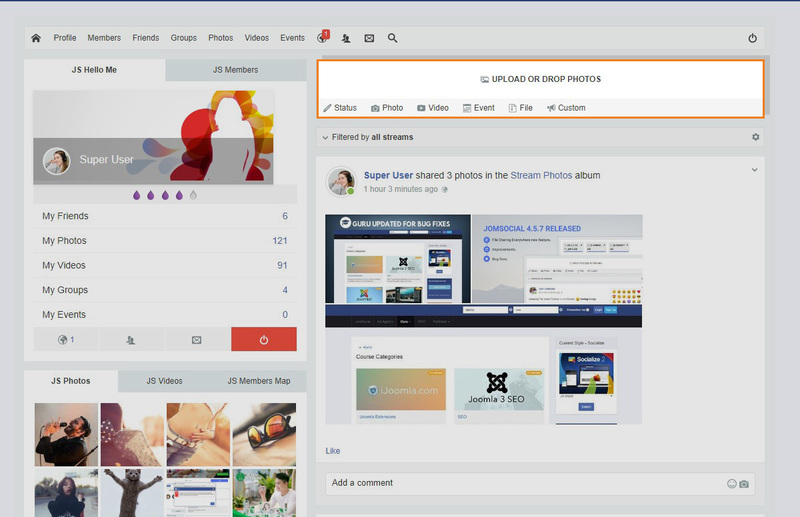 Now you can share the photos and Files using drag and drop feature. You can drop multiple files and photos as well.